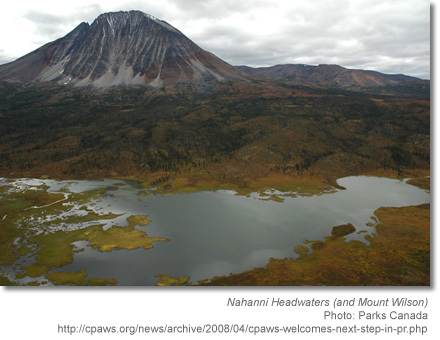 The Sahtu Dene and the Canadian Government announce plans for a new National Park Reserve in the headwaters of the South Nahanni River. The land withdrawl covers 7,600 square kilometers, and includes two familiar landmarks to wilderness canoers: Moose Ponds and Mount Wilson. The area has long been recommended for conservation by the Sahtu Dene, and the land withdrawl provides interim protection (for five years) during the planning process for the new park in the Sahtu Settlement Area. “Water is a big part of our life in the North,” said Sahtu Dene Grand Chief Frank Andrew. “That is why we wanted to protect all the waters, all the rivers that come to the Mackenzie River” (CBC). At a press conference for the announcement, Environment Minister John Baird spoke of the rapid pace of development in the North, and a commitment to conserve the greater Nahanni ecosystem and the ecological integrity of the area. This includes habitat protection for grizzly bears, dall sheep, and woodland caribou, and recognition of the unique cultural heritage of the Nahanni watershed (a UNESCO world heritage site). Industrial development is progressing in the north, with roads, pipelines, exploration for minerals, oil and natural gas, and development of mines and wells. 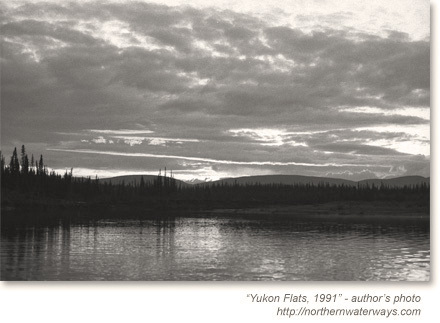 Amidst this development, the Greater Nahanni Ecosystem has remained a large, relatively intact wilderness area. The land withdrawal will prohibit new mineral staking. However, existing third party interests in the area, including existing mineral claims and leases, will be respected (Parks Canada). Next steps for the proposed park include feasibility studies and development of an impact and benefit plan. Naats’ihch’oh (pronounced naah-tseen-CHO) draws its name from the Slavey word for Mount Wilson, and means “stands like a porcupine.” Further down the river, on lands adjacent to the new park, three boundary options are being considered for the proposed expansion of the Nahanni National Park Reserve (with different concessions for existing mineral claims). Each option considers the size and scope of individual planning units, and the balance of interests between conservation goals and mineral extraction potential. Recommendations on the boundary options are expected soon from the Nahanni Expansion Working Group. News: “Ottawa announces new N.W.T. park reserve” (CBC), “Baird confirms new national park reserve in N.W.T.” (CBC), “Deal set to create NWT version of Banff, Jasper” (Globe and Mail). Press Releases: “Government of Canada announces the protection of more precious land in Canada’s North” (Parks Canada), “CPAWS welcomes next step in protecting Nahanni watershed” (CPAWS), “Conservationists Congratulate Governments and First Nations on Canada’s Newest National Park” (Canadian Boreal Initiative), “Canada’s Newest National Park” (Canoe & Kayak). Three women finish in top spots on the second annual Qimualaniq Quest on Baffin Island: Lynn Peplinski (1st), Siu-Ling Han (2nd), Sarah McNair-Landry (3rd). 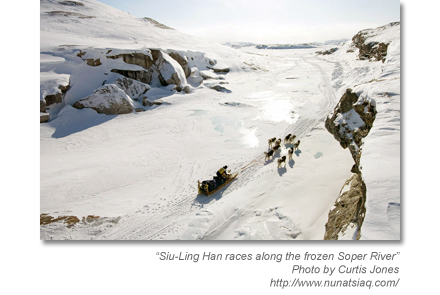 The round trip of 320 km follows the Soper River, and passes over hilly and rocky terrain from Iqualiut to Kimmirut and back. Blizzards and white-out conditions set a slow pace for the race. The first place finisher, Lynn Peplinski, completed the Quest in 43 hours 49 minutes. Two other participants joined the race from Global Warming 101 (Video), a 2,250-km dogsled expedition on Ellesmere Island that starts March 28. You can read more about this year’s Qimualaniq Quest from the Nunatsiaq News, or listen to a weekly podcast from the CBC, “The North This Week.” Originally founded to revive Inuit sled dog traditions in South Baffin Island, the annual race is organized by the L’Association des Francophones du Nunavut. The Nunavut Impact Review Board is mandated to review development proposals, and administer screening options on the basis of potential environmental and socio-economic impacts. The Bayswater project description (PDF) includes drilling plans, camp area, existing airstrip, waste and sewage management, mitigation proposals for disturbance to caribou herds, bulk fuel storage, and reclamation plans. Four letters were received from “interested parties” on the proposal. 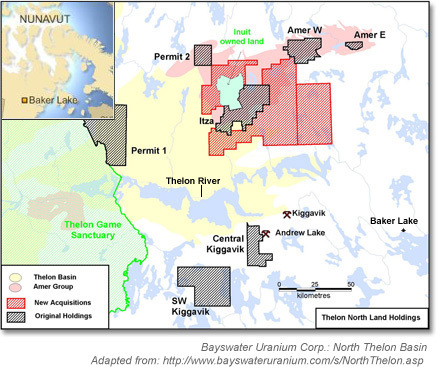 Despite long standing opposition to uranium exploration proposals on the Thelon River from nearby communities outside of the Nunavut Settlement Area, the Review Board decided to approve the proposal without an environmental review, and forwarded it’s Screening Decision (dated Feb. 22, 2008) to the Federal Minister of Indian and Northern Affairs (the Hon. Chuck Strahl) for final authorization. Birders show up at Freezeout Lake in Northern Montana, and reflect on annual migration of Snow Geese to breeding grounds in the North. Terra, an on-line video podcasting site, features sights and sounds of the migration. An estimated 300,000 Snow Geese and 10,000 Tundra Swans make the trip, and stop over at Freezeout Lake (a primary staging area) at the beginning of March. The Terra Podcast, “White Wings Over Montana,” is available above. For more on Snow Goose (Chen caerulescens), please check out the Cornell Lab of Ornithology. 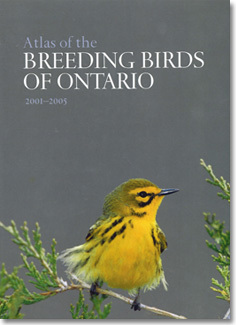 A new birding resource for the boreal forest arrives on bookshelves: Atlas of the Breeding Birds of Ontario, 2001-2005. The Boreal Bird Blog describes it as a must have resource: “On the most fundamental level, the Atlas is a tremendous resource in answering the question, ‘What birds are Boreal birds’ … Each written account contains sections on Distribution and Population Status, Breeding Biology, and Abundance in Ontario.” This is the second edition updated from 1981-1985. 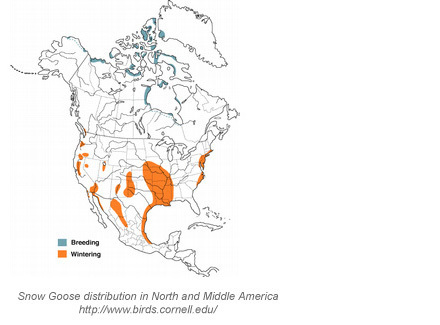 Information comes from a collection of volunteer birders in 30 regions, eight years of planning, and over 150,000 hours of time in the field. An important resource for documenting conservation efforts in the boreal, and learning more about this sometimes remote and difficult area to study. You can order the book from the Atlas Website, which also contains additional resources to compliment the book. The cultural history of the Amah-Mutsun (“San Juan”) Tribe is the subject of a new collaboration between librettist and mezzo-soprano Helene Joseph-Weil and composer Benjamin Broom. 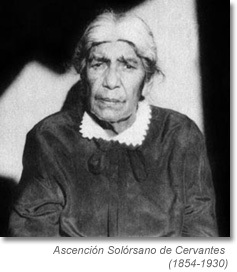 Set out in 14 scenes, and involving multi-media displays and spatial sound effects, the two hour cantata tells the story of Ascencion Solorsano de Cervantes (1854-1930), the last fluent speaker of Mutsun, and draws on oral history accounts by Smithsonian ethnologist J. P. Harrington in 1929. An NPR radio profile and music website provide further information on the development of the libretto, input from current descendants and family members, and a slideshow and audio excerpt from a performance. Benjamin Boon and Helene Joseph-Weil teach music and composition at the California State University, Fresno. The Amah-Mutsun Tribe is located east of Santa Cruz, CA, and is currently in the process of seeking federal tribal recognition. VR magazine (issue 29) features on-line photo galleries of arctic landscapes in 360 degrees. Lead stories include a photo expedition to Svalbard by Jordi Clariana, photos from the Hornsund Polar Station on Spitsbergen by Polish field assistant Witek Kaszkin, and an interview with Dr. Matt Nolan on field seasons and climate research in arctic Alaska and Siberia. Panoramic photos go one step further and give people the opportunity to explore the environment in every direction, especially when there is a sufficient spatial density of such photos, such that one can jump from one to the other and really get the sense of being there. These photos also give scientists like myself the chance to “visit” the field again from our offices, when we have more time to look around and see things that might have been overlooked while in the field. Gigapixel VRs are especially useful in this context, as they have tremendous detail and offer something … for everyone. For example, my primary use might be to better understand glaciers, but in the same scene geomorphologists can better understand erosion, botanists can better understand vegetation distribution, etc. Loy Arcenas stages a new play by Carlyle Brown, “A Big Blue Nail,” at the Victory Gardens Theater in Chicago (January 25 – March 2, 2008). 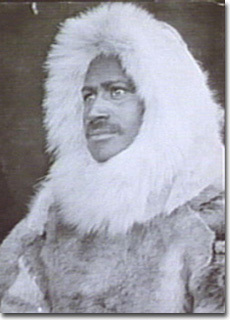 Long underappreciated in the annals of polar exploration, Matthew Henson partnered with Robert E. Peary on his most ambitious expeditions to the North, and traveled over 9,000 miles by dogsled across northern Greenland, Ellesmere Island, and the northern Polar Sea. He is regarded by many as the first person to cross the North Pole, and arrived 45 minutes ahead of Commander Peary at what later became known as “Camp Jesup” near the northern extremity of latitude. Several years later, surrounded by media scrutiny and claims of falsehood and fabrication, Peary alone shouldered the burden of justifying distances, blank pages in his diary, and scant navigational records without the assistance of his traveling partner. As an African American, Henson was regarded as a liability in the media spotlight (and may have been spurned by Peary after the trip). In 1906, three years before obtaining their goal, U.S. President Theodore Roosevelt awarded Peary the Hubbard Medal for his northern accomplishments. Henson was not awarded the same until 2000, 94 years later, in a posthumous ceremony by the National Geographic Society. “A Big Blue Nail” unfolds as a delicate reflection on human longing, personal discovery, the spell of adventure, and the complicated interpersonal relationship and racial subtext between Matthew Henson and Robert E. Peary. Set among the icy backdrop of Peary’s cold striving for recognition and personal ambition, the play looks back across time and space in various flashbacks and dreams to the initial meeting between Henson and Peary, their icy adventures in the North, travels by dogsled with the Inuit, and the search for reconciliation and personal accountability in their long standing but sometimes unacknowledged relationship. Peary shares his dreams and emotional struggles with two figurative characters in the play: ambition (represented by Tupi, a “dream devil” who inspires Peary with cajoling words and promises of treasure), and “the future” (a female muse who entices Peary with desire and into self-sacrificing attachment and commitment). Peary’s wife also has a role and confronts Henson with her own story, one of standing alone too many times in the shadows, giving support, and facing a life of sometimes difficult and limited choices. The first preview on Friday (Jan. 25, 2008) was exceptional, and I hope to attend a second performance. Several other events are scheduled in connection with this first staging of the play. On January 31, there is an evening with Carlyle Brown and ship master Captain Daniel Moreland (an expert on square-rig and traditional sailing ships). On February 7, Carlyle Brown discusses the play’s themes, and the writing process. Please check the Victory Gardens Theater website for updates and additional information on the production, schedule, and tickets. A reminder that the annual Wilderness Canoe Symposium is close to two weeks away (February 8th and 9th) at Monarch Park Collegiate in Toronto, Ontario. The general theme is the same as last year: “Northern Travels and Northern Perspectives (Part VII),” and includes presentations from authors, canoers and filmmakers from across Canada and the U.S. The program starts at 7:00 P.M. on Friday and 9 A.M. on Saturday, and includes a full schedule of presentations, lunch and dinner breaks, and receptions. If you wish to attend my own presentation on travel and filmmaking on the Horton River, please make sure to show up early on Friday evening (you can preview a selection of photos from my trip on-line). Registration is $70 for the weekend ($45 for advanced registration). Directions and List of Presenters can be found at the Symposium’s website. Safe travels!